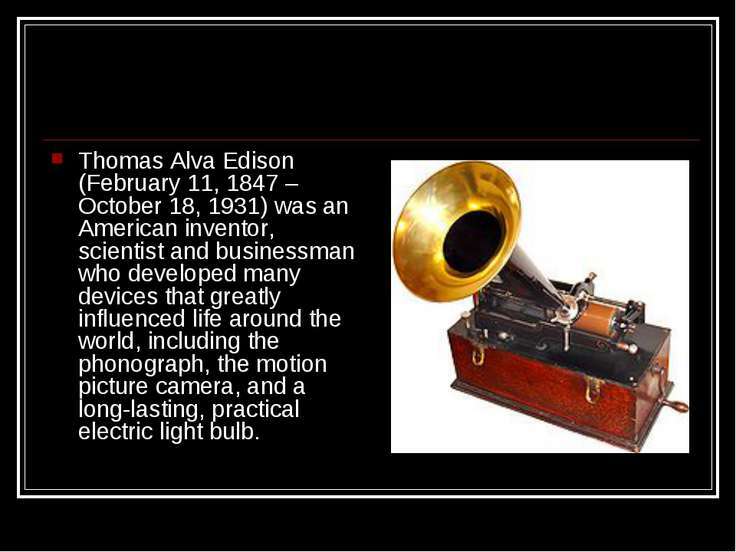 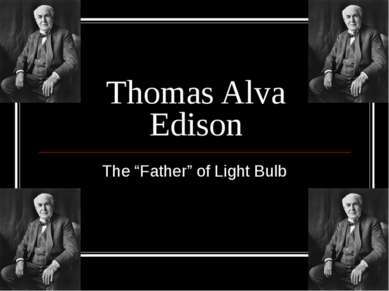 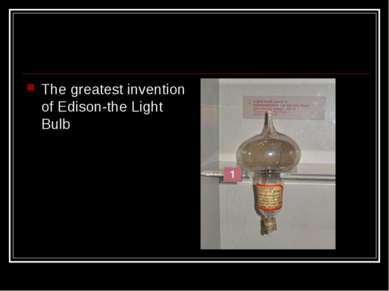 Thomas Alva Edison (February 11, 1847 – October 18, 1931) was an American inventor, scientist and businessman who developed many devices that greatly influenced life around the world, including the phonograph, the motion picture camera, and a long-lasting, practical electric light bulb. 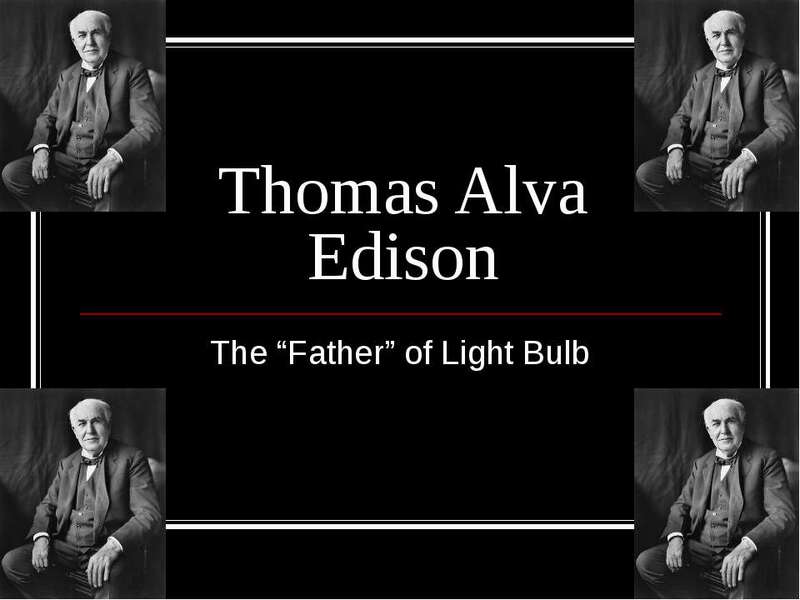 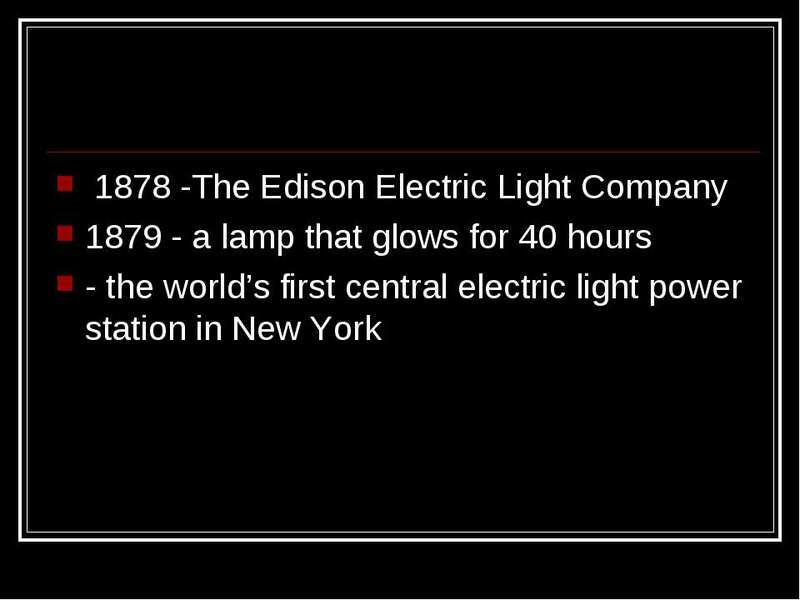 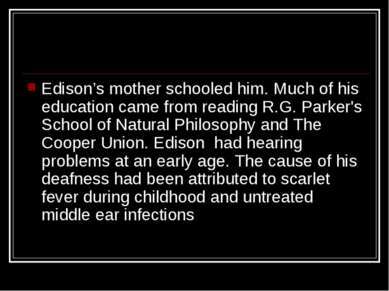 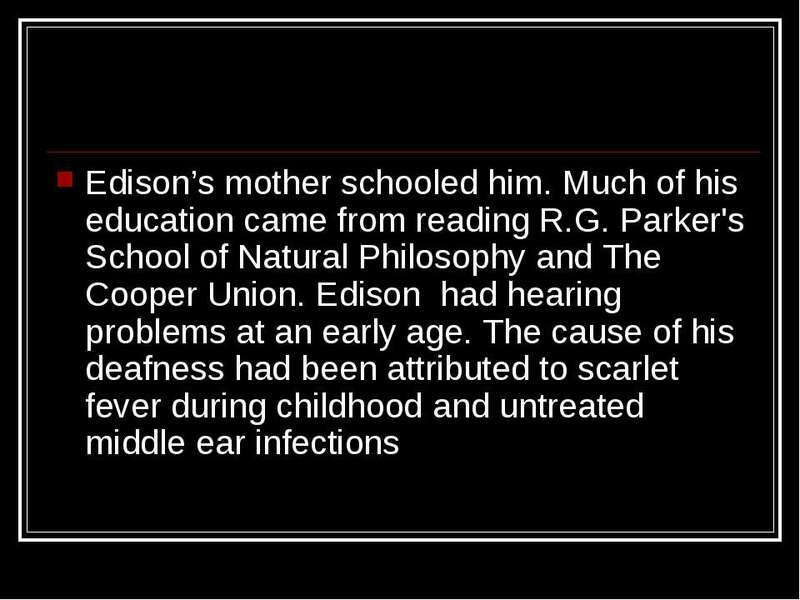 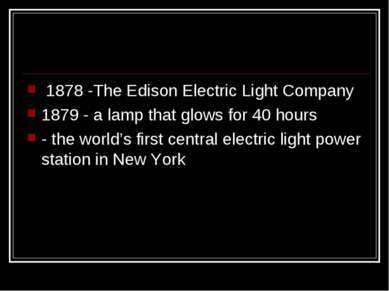 Thomas Edison was born in Milan, Ohio, and grew up in Port Huron, Michigan. 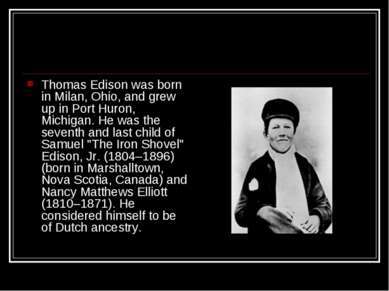 He was the seventh and last child of Samuel "The Iron Shovel" Edison, Jr. (1804–1896) (born in Marshalltown, Nova Scotia, Canada) and Nancy Matthews Elliott (1810–1871). He considered himself to be of Dutch ancestry. 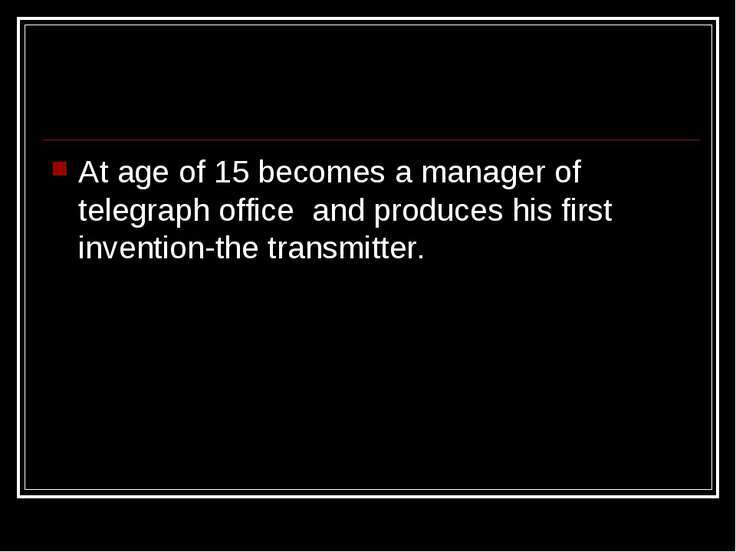 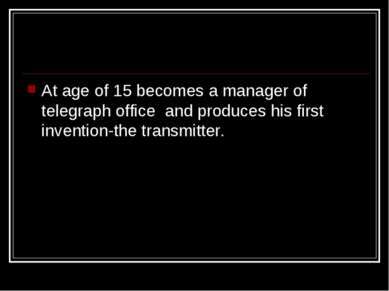 At age of 15 becomes a manager of telegraph office and produces his first invention-the transmitter.